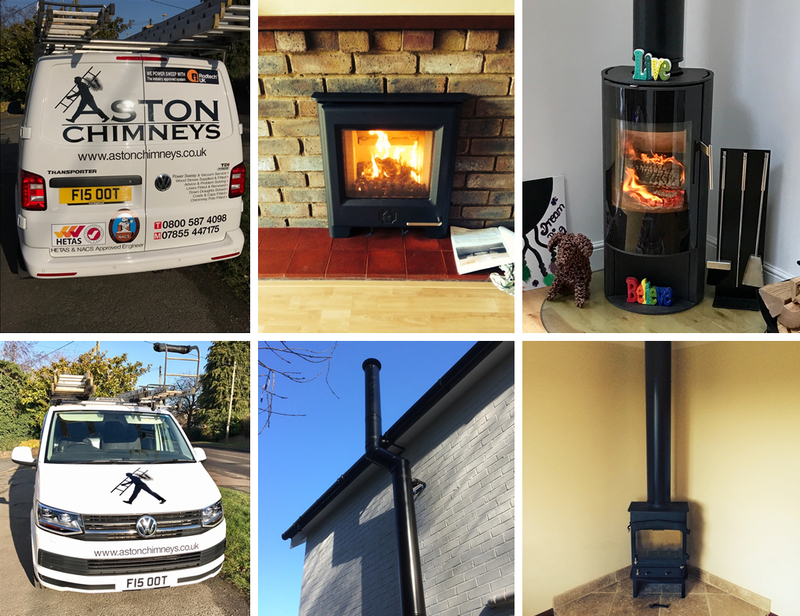 Aston Chimneys is a family run stove installation and chimney sweep business based in Aston Clinton near Aylesbury Bucks. We operate throughout most of the Herts, Beds, and Bucks area. We carry out a wide range of services from a full power and vacuum sweep to an installation of a wood/multi-fuel burning stove. Please look at our full range of services by clicking on the services tab above. Aston Chimneys is a fully insured business that has an excellent track record in the 14 years of trading. We are fully affiliated with the NACS (National Association of Chimney Sweeps) and HETAS (The official body to approve solid fuel appliance installations). Don’t hesitate to get in touch. We offer an efficient, friendly and reliable service. We’re always on time for appointments and we’ll call if we’re delayed, although this very rarely happens! For more information please call us on 0800 587 4098 or mobile 07855 447175. Office 01296632496. E-mail mick@astonchimneys.co.uk or alternatively via our Contact Us tab above.